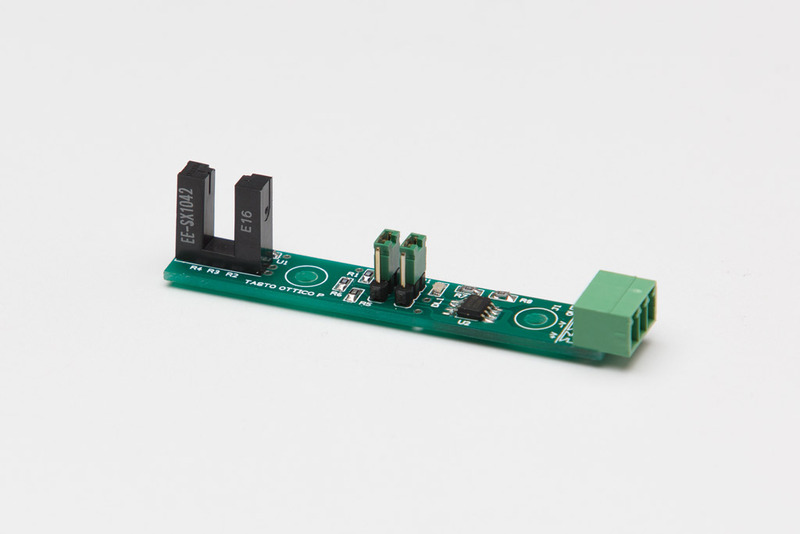 It is an electronic card that allows reading a singol optical key and generates a signal that can be directly connected to an input. The output is protected against overload and short circuit. “KeyOpt_SP” generates a positive output while the “KeyOpt_SN” version generates a negative output.